BAE Systems required a bespoke structure to conduct lightning-strike trials on the Nimrod PA03. This was to be the largest ever lightning-strike test on a fully fuelled aeroplane. Boldman devised a large-scale aluminium profile bespoke structure of a sufficient size to cope with the size of an aeroplane as large as the Nimrod – which was unprecedented in aeroplane testing at the time. The bespoke structure used over 5000m of aluminium profile. 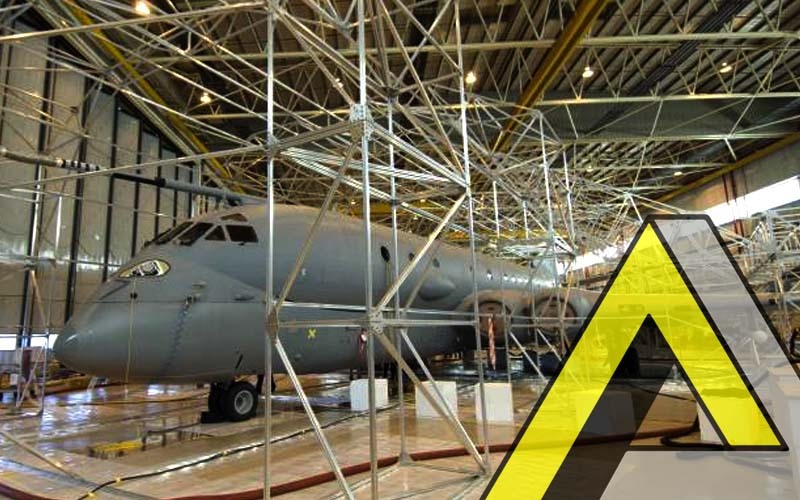 The structure that Boldman designed, manufactured and installed played a major part in the total success of the trials, which provided essential analysis for the aircraft’s engineers throughout the world. You can read more about this lightning strike trial and the bespoke structure Boldman manufactured by clicking here.